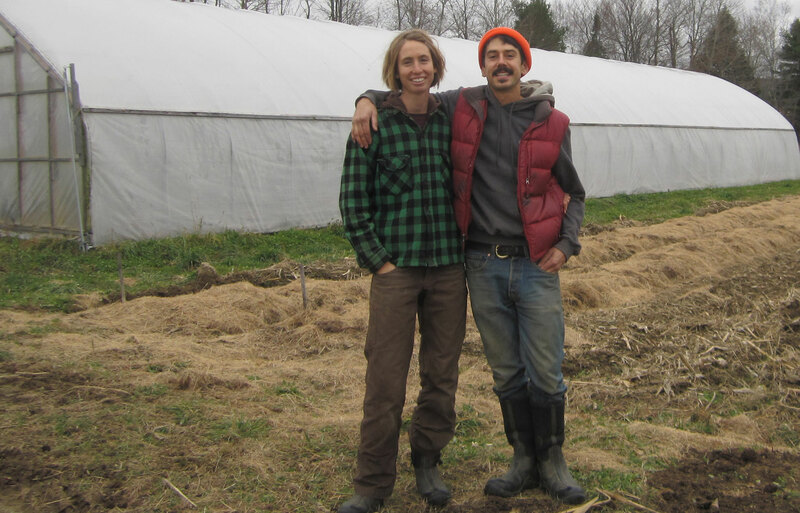 Adam Nordell and Johanna Davis are typical of many young farmers in Maine: hardworking, smart, and committed to producing good food in a sustainable way. Both Adam and Johanna had worked on various farms before finding each other, and finding their farming niche. In addition to organic vegetables, Songbird Farm specializes in growing heirloom dry goods, like Jacob’s Cattle beans and Abenaki Flint corn, grains, and heritage wheat flour, part of a burgeoning new market in New England. The couple launched their farm business on leased land, and honed their growing skills, grew their market base, and kept an eye out for a permanent home for their farm. When a 41-acre turn-key farm in Unity was listed for sale on Maine FarmLink, they jumped at the chance to be closer to family, friends, and their Midcoast markets. MFT purchased an easement on the farm, enabling Adam and Johanna to meet the landowner’s selling price and buy the property.